What's going on? Who are these reptiles? It’s an interesting story. This conference was planned as a way to bring together defense attorneys around the nation who want to learn how to turn aside a frequently used set of trial tactics championed by David Ball and Don Keenan in their "Reptile" series of books and webinars. Ball is a North Carolina-based jury consultant, and Keenan is an Atlanta-based plaintiffs trial lawyer. According to Ball and Keenan’s publicity materials, the “reptile” concept is “the most powerful tool in the fight against tort reform.” Ball and Keenan say that through their books, DVDs, seminars and workshops, “the Reptile is revolutionizing the way that trial attorneys approach and win their cases.” The proof, they say, is in the numbers, as more than $6 billion in verdicts and settlements have resulted from these tactics since they launched them in 2009. 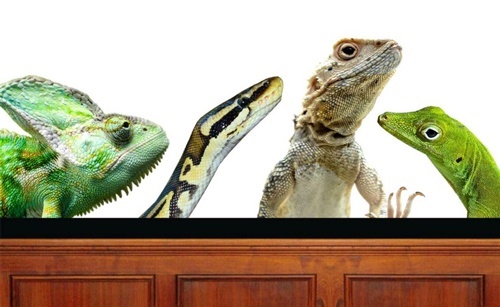 The Reptile theory asserts that you can prevail at trial by speaking to, and scaring, the primitive part of jurors' brains, the part of the brain they share with reptiles. The Reptile strategy purports to provide a blueprint to succeeding at trial by applying advanced neuroscientific techniques to pretrial discovery and trial. The fundamental concept is that the reptile brain is conditioned to favor safety and survival. Therefore, if plaintiff's' counsel can reach the reptilian portion of the jurors' brains, they can influence their decisions; the jurors will instinctively choose to protect their families and community from danger through their verdict. While the “science” described by the authors is laughable and amateurish, the strategies they recommend are effective. As a result, defense attorneys nationwide are taking notice and developing strategies to combat these tactics. Beginning as soon as the complaint, articulate a set of common sense safety rules that people as good members of a community should follow. Get experts and fact witnesses, in discovery, to agree that these common sense safety rules are reasonable for society. For example people shouldn't drive fast, pouring chemicals into rivers and streams is not ideal, a single company should not own too much of the market, doctors shouldn't hurt people. Use fear as a persuasion device to frighten jurors into defending their communities by adopting what is effectively a new standard of liability. When fully implemented, the strategy sees the defendant’s conduct as a secondary consideration to what might have occurred. For example, what if it had been a school bus in the accident? What if the contamination would have been of drinking water for a pregnant mom? These arguments substitute for the actual standard of liability and the actual conduct of the defendant. The rationale for this approach is that fear will cause jurors to abandon rational thought and penalize the defendants. That's not how people think, that's not how juries reach decisions, and that’s not actual science. But just because the authors flub the science it doesn't mean their recommended trial strategies are bad. Ball and Keenan make some suggestions that defense lawyers must be aware of. I believe it's possible to overcome these strategies, particularly at trial, by simply being a good lawyer and doing what you should be doing at trial anyway -- specifically by articulating a strong narrative that makes sense to people and that people care about. If you have not seen the Reptile trial strategy in one of your cases yet, you probably will soon. A show of hands at my speaking engagement showed more than half of a large audience having seen it in one of their cases recently. I will go more into detail about how to spot the Reptile trial strategy and how to respond to it in upcoming articles. Click here to be notified of subsequent articles.